Plaza Beach Resort offers access to Bonaire's world-class diving. 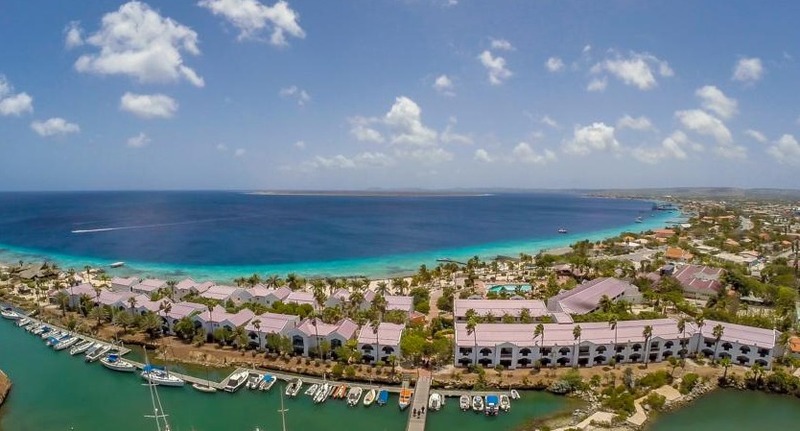 Offering a private beach, a marina and access to world-class diving, the all-inclusive Plaza Beach Resort Bonaire is located south of Bonaire’s charming capital city, Kralendijk. Plaza Beach Resort Bonaire features a variety of activities including boat rentals and an outdoor pool. Guests can explore the scenic area on a rented bicycle or scooter, or spend the day relaxing in the on-site spa. Sailing, kayaking and snorkeling are included. In this all-inclusive resort, all meals are served at the Tipsy Seagull, Plaza Beach Resort Bonaire’s ocean front restaurant, while the Coconut Crash Beach Bar is a great place for a cocktail, an ice cold drink or a snack. Fly into Flamingo International Airport, Bonaire (BON). The resort is about 25 minutes from the airport. Visit Plaza Beach Resort’s website for more information.